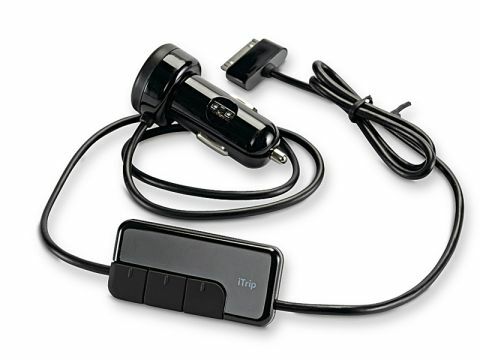 We're not going to beat around the bush: this update to Griffin's iTrip is the best in-car FM transmitter for iPods and iPhones that we know of. It blew us away with some excellent qualities. The best feature is SmartScan, a one-button scanning feature that scans the airwaves and saves the three clearest results as preset channels. This is a great time-saver; just press the preset option and take your pick from the three open signals. A bright and friendly white-on-black LED display is on hand to help, and a very simple menu system controlled by three buttons is headache-free to operate. Equally impressive is the signal strength, which was enough to strongly overlay Radio 1's 99.5FM signal. This means you won't have to flick channels to get a better reception. The price is high, but the quality is undeniable. If you're in the market for kit to broadcast your iPod to your in-car radio, then look no further.